The easternmost Intown Atlanta neighborhood, East Lake is located less than five miles from downtown, bordering the Kirkwood and Oakhurst neighborhoods. 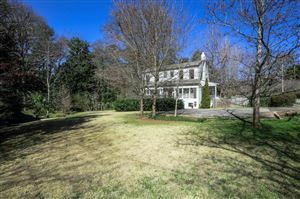 An historic neighborhood, East Lake is home to the second-oldest antebellum house in Atlanta–built in 1856 for Civil War Col. Robert A. Alston. East Lake has also been the residence of a diverse group of influential individuals including Civil Rights activist Hosea Williams; GA Tech Coaches, Alexander and Bobby Dodd; amateur golfers, Watts Gunn and Charlie Yates; and many more. In fact, golf has been a major draw to East Lake since 1904 when Atlanta’s first golf course, The East Lake Golf Club, was built there. Once the home course of legendary golfer Bobby Jones, and the current course for the PGA’s annual Tour Championship, the club is not only historic but philanthropic. To date, it has donated in excess of $20 million to the East Lake Foundation, a nonprofit organization committed to helping transform one of the nation’s worst public housing projects into a thriving community. Although East Lake itself has few restaurants and entertainment options within its neighborhood, residents are attracted to the area because of its excellent location. 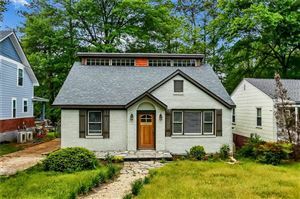 Surrounding neighborhoods like Decatur, Oakhurst and Kirkwood are all within walking distance, while Inman Park, Candler Park, Little Five Points, East Atlanta, and many of the other active intown Atlanta neighborhoods are only a short car ride away. All offer a vast selection of dining, shopping, entertainment, outdoor activities, and events. Available real estate in East Lake includes an offering of renovated, and ready-to-be-renovated, post-war ranch homes, bungalows and Tudor cottages. New Craftsman-style home construction can also be found. When you are looking to buy or sell a single family home, townhouse, condo, or investment property in the East Lake real estate market: call (877) 249-8533 Park Realty is committed to helping you meet your goals. Data last updated: 4/24/19 3:08 AM PDT.